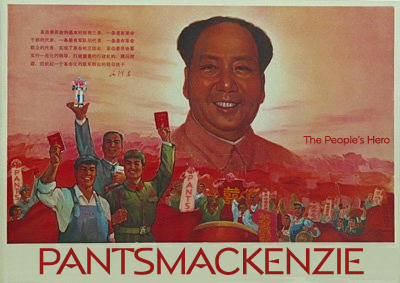 PantsMacKenzie is in no way related to pants. He has no great goals in life other than to sway the entire universe to his cause. This cause, of course, is the greater flagellation of non-aquatic porpoises, which may or may not have been invented yet. If you have any fair plants on you, he will gladly take them off of your hands. Topology certain: Future hazy. Recently, he has been obsessive-compulsive about checking Uncyclopedia for cruft and other vandalism. He seems to have nothing to do other than to check each new Uncyclopedia update. Once deleted the Main Page. This page was last edited on 16 July 2007, at 08:27.